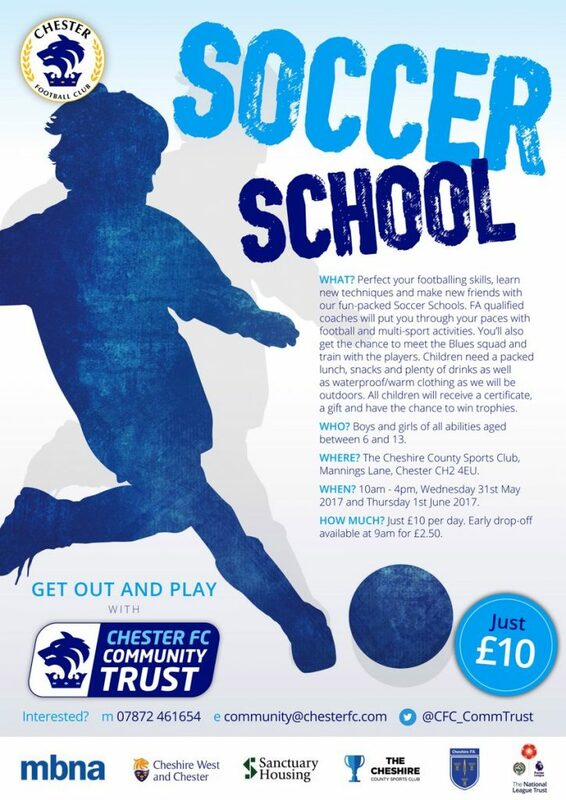 Chester FC Community Trust will be running a two day Soccer School during the May half-term holidays. Football-loving boys and girls can take part in two fun packed days of coaching drills, games and tournaments with FA qualified coaches at The Cheshire County Sports Club in Upton on Wednesday, May 31st and Thursday June 1st. Each day costs only £10 and runs from 10am until 4pm with an optional 9am early drop-off available for £2.50. The Trust offers online booking through Eventbrite (additional booking fee applies) at community.chesterfc.com/book-online. Youngsters will be able to perfect their skills, pick up tips and develop techniques through drills and games, and make friends through fun sessions. All participants will receive a certificate and gift – and there will be opportunities to meet Jon McCarthy and members of his squad. 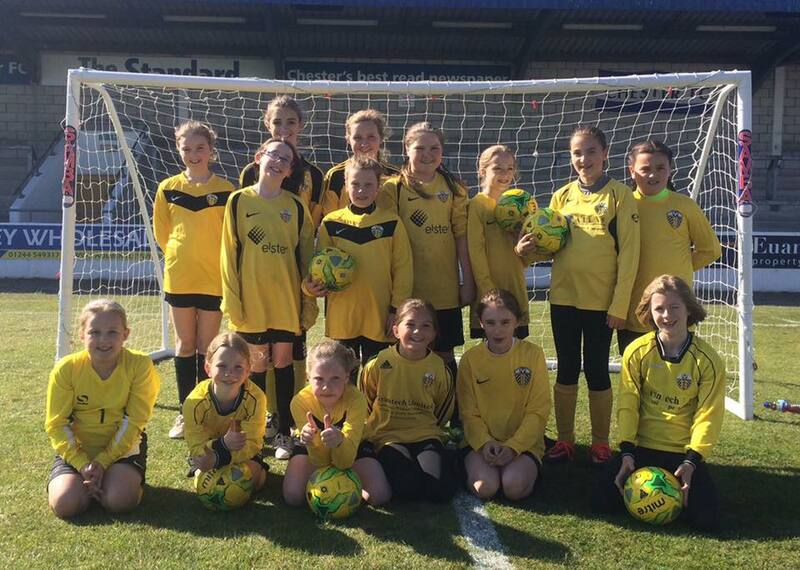 Girls took over the Lookers Vauxhall Stadium for the evening at the Chester FC Girls Football Festival. 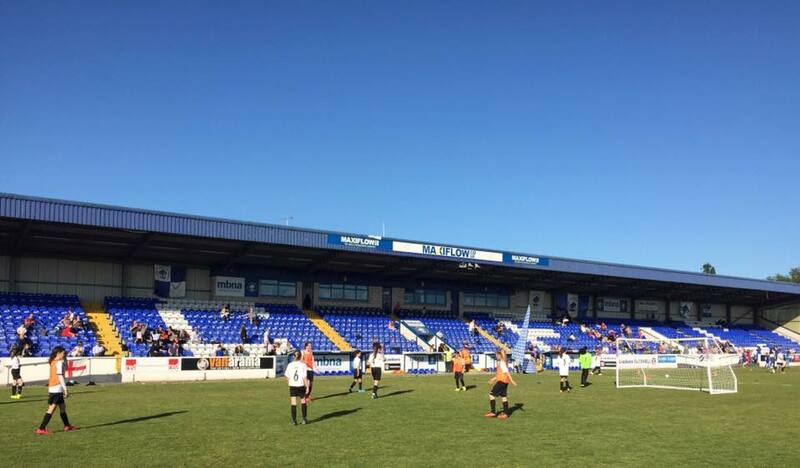 More than 150 players from across the area had the opportunity to play on the stadium pitch in glorious sunshine with face painting, music and ice cream creating a fun atmosphere for the girls and their families. Clubs represented included AFC Waverton Girls, Chester & District Girls, Chester Allstars, Northop Hall Girls and Upton JFC Girls, while others formed their own teams with friends or just turned up to join in the fun. Girls played a series of small-sided games on the hallowed turf at U7s, U9s, U11s, U13s and U15s age groups and were able to test their skills on a number of challenges including quick feet, a rebounder and free-kick mannequins. Chester FC Community Trust organised the festival through the continued support of principal partners MBNA, and it is now planned to become an annual event. 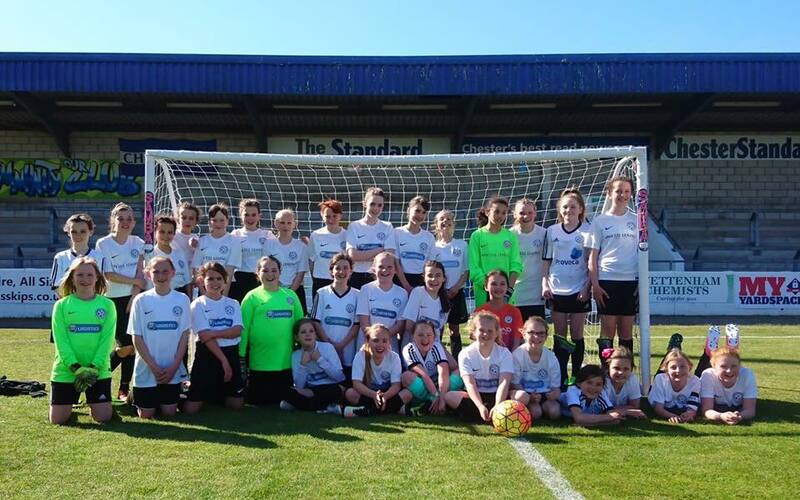 Jim Green, chief executive of Chester FC Community Trust, said: “It was a fantastic evening and brilliant to be able to welcome so many girls to the Lookers Vauxhall Stadium. “We wanted to provide a really fun, positive event for the girls while giving them the chance to experience playing at the stadium. Everyone got into the spirit and we’re looking forward to the festival getting bigger and even better in the future.